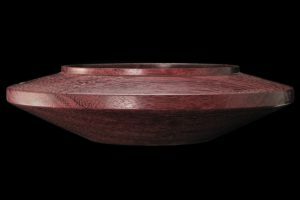 No, this bowl is not stained with a purple stain! 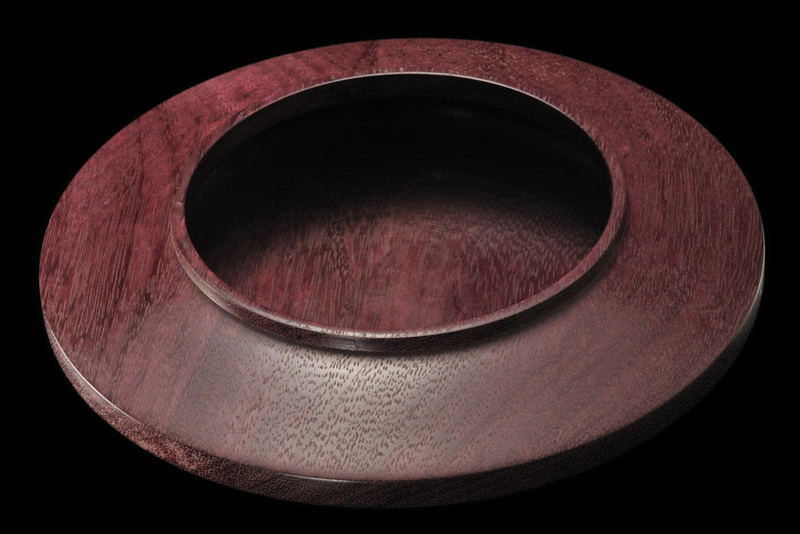 This modern wood bowl is made of the very interesting and beautiful Purpleheart wood. 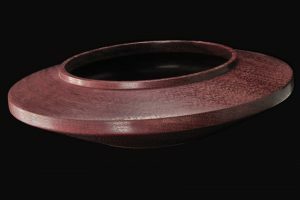 Most woods tend to dull and fade through oxidation but purpleheart tends to get more vibrant and colorful. This bowl is approximately 7″ in diameter.